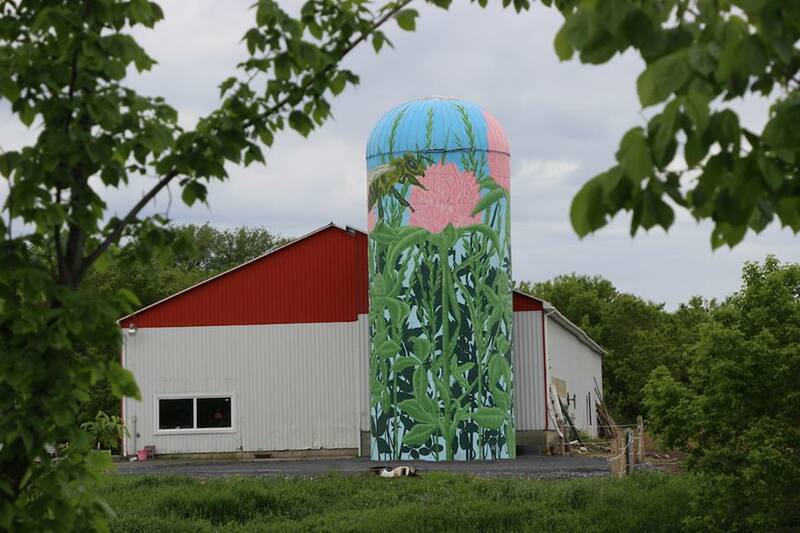 Popsilos is artwork on silos. Got a few hours? Take a countryside road trip that will put you on a sensory journey through Prescott-Russell. 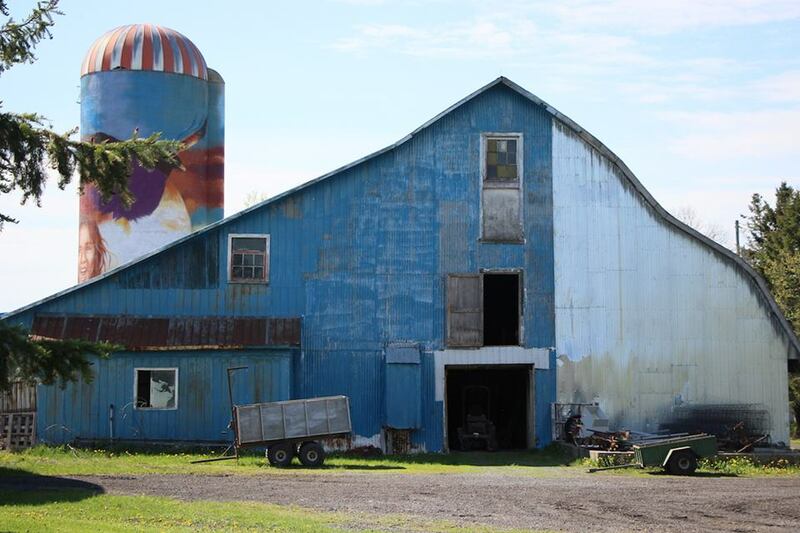 Be in awe of the giant artworks painted on farm silos. See the glowing fields. Smell the heat burning the long grass. 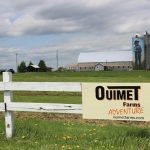 Knock on a few producers’ doors to taste the counties. 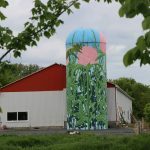 The Popsilos project combines art and agrifood tourism in a circuit that leads to five giant murals celebrating Canada’s 150th on farm silos in the Prescott-Russell countryside, interlacing small producers where visitors can discover local produce and products. 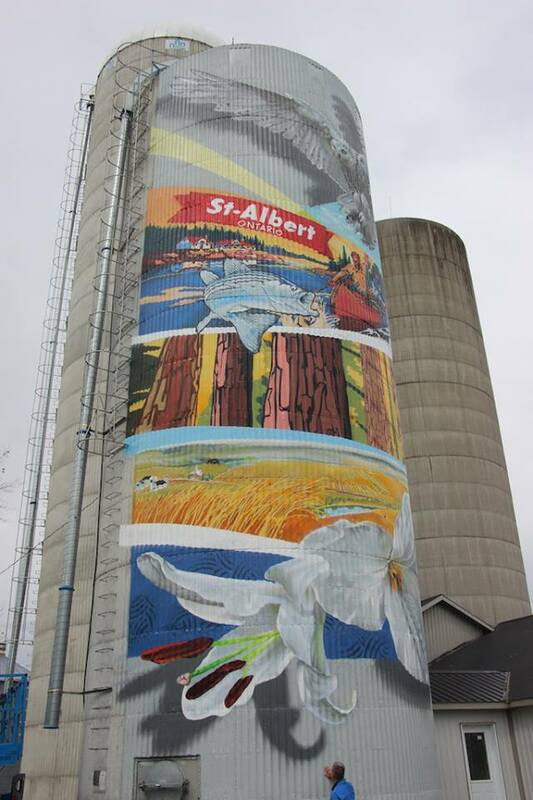 Popsilos is the opportunity for street artists to come together, learn from one another and create a legacy artwork in celebration of Canada’s 150th, in Prescott-Russell, while putting the spotlight on agriculture through painting on the most monumental canvas ever, a silo. 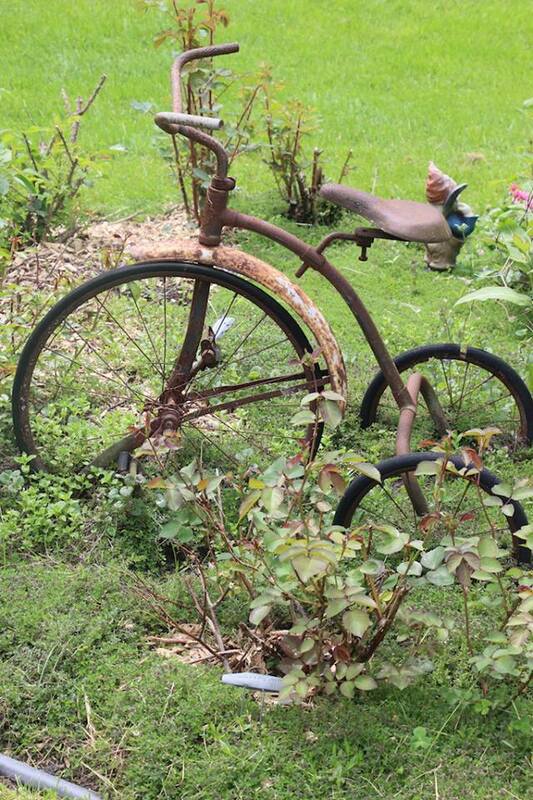 Growing up in Prescott Russell, we were up at 7 am, ready to venture through the fields and find the day’s secret spot. Our imaginations ran wild until we heard our parents’ voices calling us in, when rosy skies turned to darker shades of marine and purple. 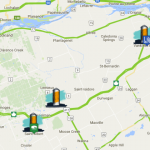 Map and information is all online on the popsilos.ca website. Your smart phone will be handy! 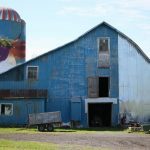 Make sure the farmers’ properties are open to the public for the time at which you plan to visit. Every site has its own hours of operations. If not, you can view the silo from the roadside. 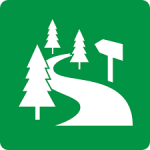 Respect the signs or barriers set-up by the farmers on their properties where entrance is prohibited. You are responsible for your own safety and security on site. Be respectful of the environment. 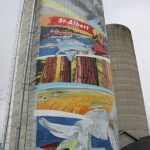 Learn about the artwork online at popsilos.ca. 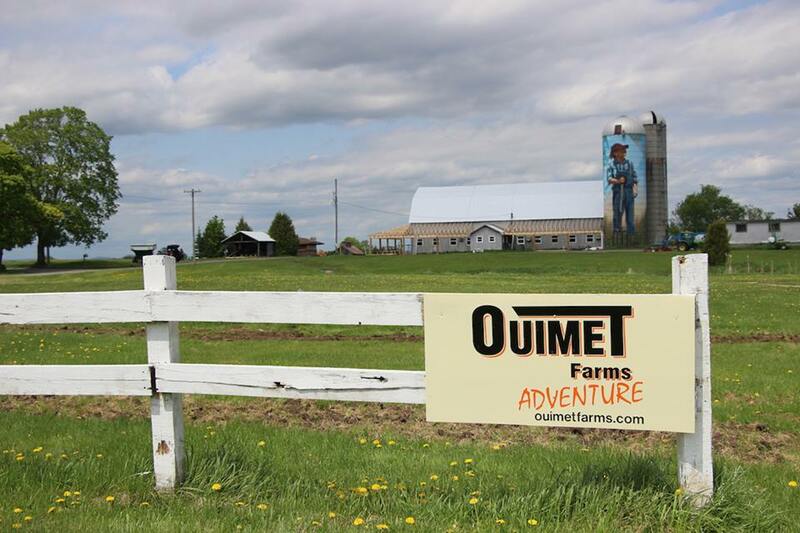 Wear comfortable shoes suitable to farm grounds! You may or may not be greeted on site. All depends on the farmers’ workday! If they’re free, they’ll love to chat! 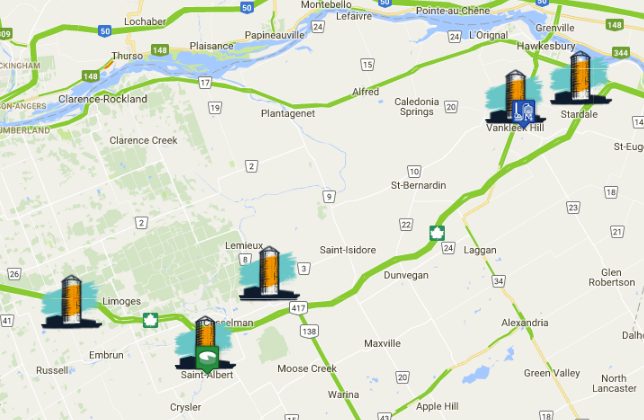 If you plan on visiting certain local artisans or producers identified on the Popsilos map, also check in on the website provided to ensure they are open to visitors at the time you plan to visit. Share your photos with us on our facebook page. The United Counties of Prescott and Russell are centrally located between Montreal and Ottawa. This project is possible with the participation of the government of Canada. 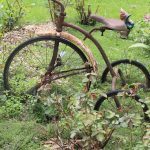 EXPLORE PRESCOTT-RUSSEL REGION AND PLAN YOUR TRIP!